As you all know from my post on breaking up with makeup, skincare is one of my top priorities when it comes to beauty. Without great skincare, you can't achieve the smooth canvas your face needs for optimal makeup application or to just go makeup free with the utmost confidence. I always encourage everyone around me to make sure your skincare is up to par before even venturing into makeup. 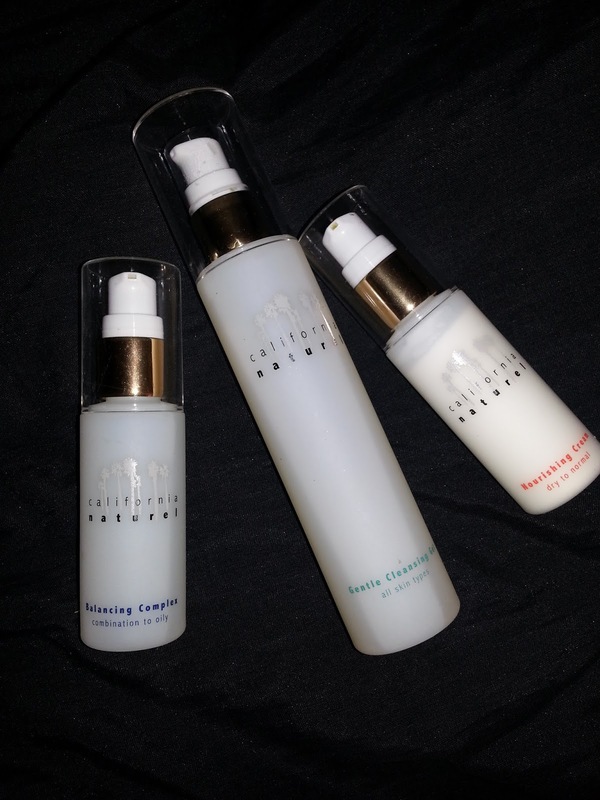 Because I'm a skincare advocate, I was excited with California Naturel reached out to me to review their products. Let's learn a little about California Naturel before we start the review! Based in Sausalito, California, we craft premium natural skin care using the purest, most luxurious and effective ingredients found in nature. We take to heart the sensory experience of our products by crafting luxurious textures and floral scents. We are committed to developing high-performance skin care with the most efficient natural and organic ingredients, developed with safe formulas you can trust. With California Naturel, you will truly feel the goodness of our products, your skin will thank you. Reducing our impact on the environment is a key value for California Naturel. We adopt a sincerely green way of thinking with socially responsible business practices and a soulful culture which includes making all of our products recyclable. Our product is beautiful, right down to the packaging. Our colors evoke the beautiful palette of shades of the water, sky, sun and sand. The fresh turquoise of the Gentle Cleansing Gel, the deep ocean blue of the Balancing Complex and the feminine coral of the Nourishing Cream reveal our daily admiration for the beauty of nature. The first thing I immediately noticed about California Naturel is their quick shipping and beautiful packaging. I love the chic, simplicity of their packaging. It just looked elegant sitting on my counter. 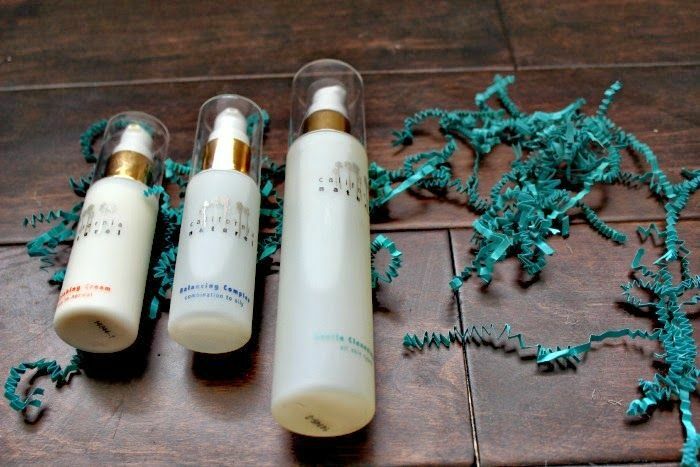 Beyond packaging, I had high hopes for this product, but unfortunately, it did not work well with my skin type. I have combination skin so my cheeks are generally dry to normal and my forehead, nose and chin are oily. This product was very simple to use and only consisted of two steps. Due to my having combination skin, it was recommended I use the Gentle Cleansing Gel and Balancing Complex. The Balancing Complex is more like an extremely light serum. I noticed soon after I began using these two products twice a day that my face just didn't feel cleansed and felt overall dry. A representative from California Naturel suggested I begin using the two products along with a small amount of the Nourishing Cream on top. I began using this and unfortunately, my skin still felt dry. I also began to get a few pimples on my forehead. Since I wear some form of makeup daily, I really need a product that does a deep cleanse. This product did not give me that. After a month, I stopped and returned to my regular skin regimen. I would only recommend this line of products if you have extremely sensitive skin. The aspect I did like with this product was how extremely gentle it was. I think it would be great for those with acne prone and/or sensitive skin. However, I would really love to see the company come out with a more deep cleansing, oily girl friendly product. Want to try California Naturel? Save 30% by using code FabEllis14. Code is valid until August 21, 2014. Also, free shipping for purchases over $10! Have you heard of California Naturel? Would you give their products a try? Great review! You're right; their packaging is very chic. Love it! Thanks sis! I appreciate you checking out the review! :-) You know I was loving that packaging when I opened the box. Perfect with the black and red bathroom theme. Lol! Great review chica! I'm a Philosophy girl, but I may take a look at the 'Nourishing Cream'. What was the texture? Was it greasy at all? Thanks D! The texture was creamy, but not greasy or very moisturizing at all. It was almost like a lotion form of serum. It left my skin pretty dry. Great review! I'd be interested to know more about their sun protection products. Great review and very clear feedback on the product. I have tried a few different products but never this one. Thanks for sharing. Thanks Tiffany for checking out my review! Great review! I have such a hard time finding good products for my finicky skin! Thanks for checking out my review! I know exactly what you mean for sure. I have never heard of this this company and happy to see they're from my home state near where I was born! Yeah girl, you know me I'm a bit cheap so it is pricey to me but I would love to try their products! Thanks so much for the introduction & review of California Naturel.....haven't heard of them but they sound & look like a must-try! Love the lovely town of Sausalito....so products produced from that scenic town must be really good!!! Thanks for checking out my review! Thanks for checking out my review Rebecca! We do need some sunscreen and my youngest daughter skin burns easily. Thanks for your review. I have sensitive skin, but I'm also on the dry side, so this may be too drying.